Checking further the information on Philip José Farmer at ISFDB I found another two letters missing in my bibliography. First is a letter in the fanzine New Venture #4, of the Summer 1976. As I do not have a copy yet I do not know what's in the letter. «Congratulations on your 25th anniversary. Your professionalism equals or exceeds that of national publications (I'm not including the National Enquirer among the other big journals), and you should be very proud. The letter is accompanied with a photo of Phil from 1968, the year that Locus started. The photo was made by Walter J. Daugherty. It is strange that I missed the letter in Locus, because I have a subscription on this magazine since the early 1970s. I hope that I haven't missed more. I mentioned ISFDB two weeks ago, with some previous unknown letters by Farmer. This time I discovered at ISFDB a reprint of the French collection Philip José Farmer. There is some confusion about the title of this collection. Sometimes you see it with the name of the series or sub-series as part of the book title, as Le livre d'or de la science-fiction: Philip José Farmer. This is not correct. This collection, with ten stories, was originally published in 1980. The reprint of this book is from October 1983. I have never seen a copy for sale, and could not find one yet since my 'discovery'. It was reprinted again in 1990, where the title changed to Le jeu de la création. The sub-series name changed to 'Le grand temple de la science-fiction'. Christopher Paul Carey already announced the coming of this book earlier, see the entry of February 21, 2018 on this site. 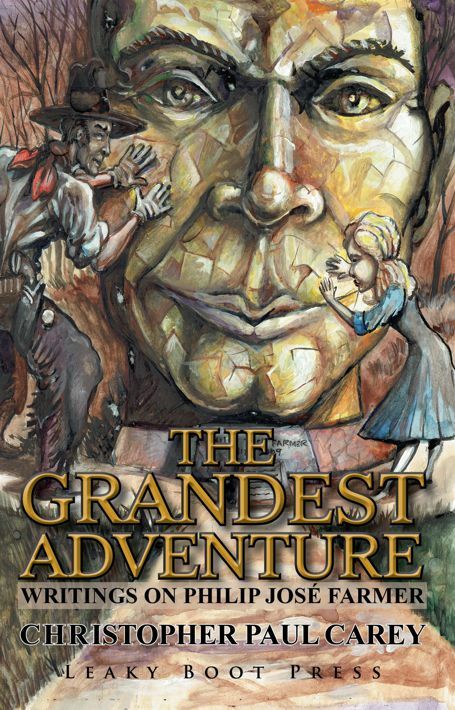 His book, The Grandest Adventure: Writings on Philip José Farmer, will be released this year in July. See the website of Christopher Paul Carey.